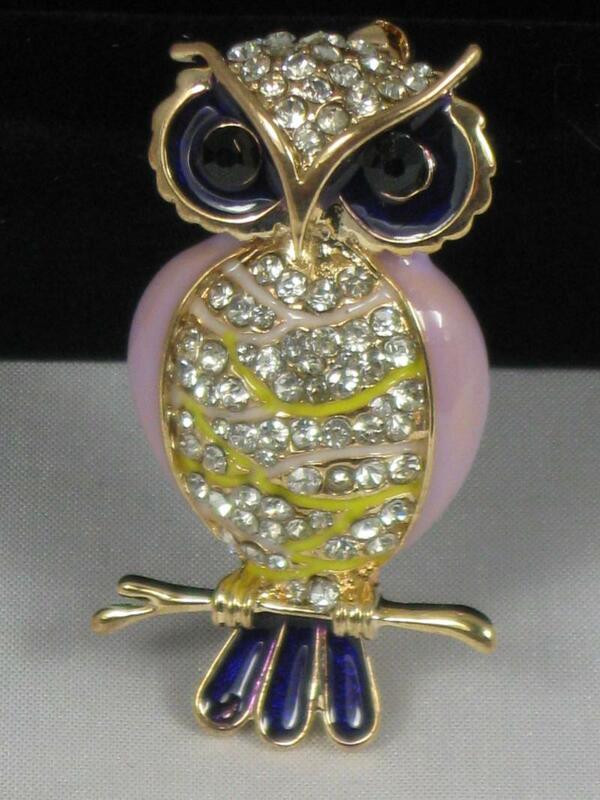 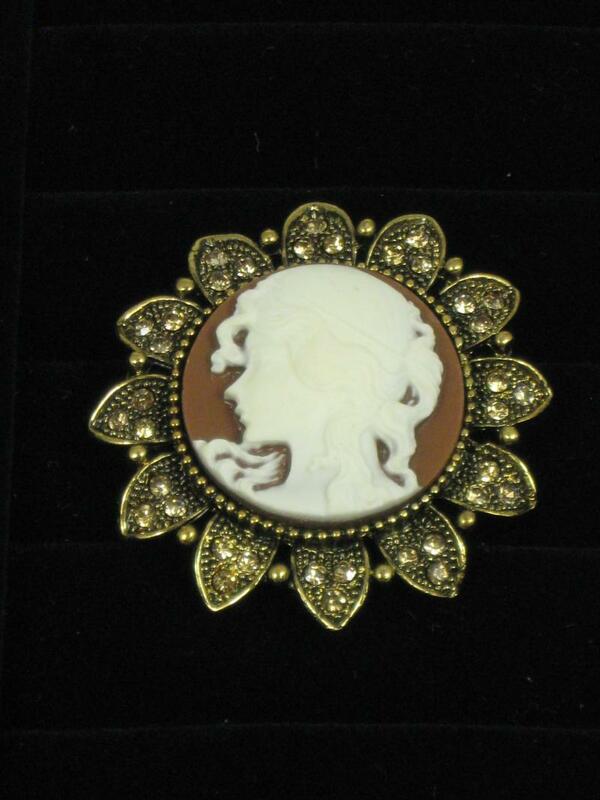 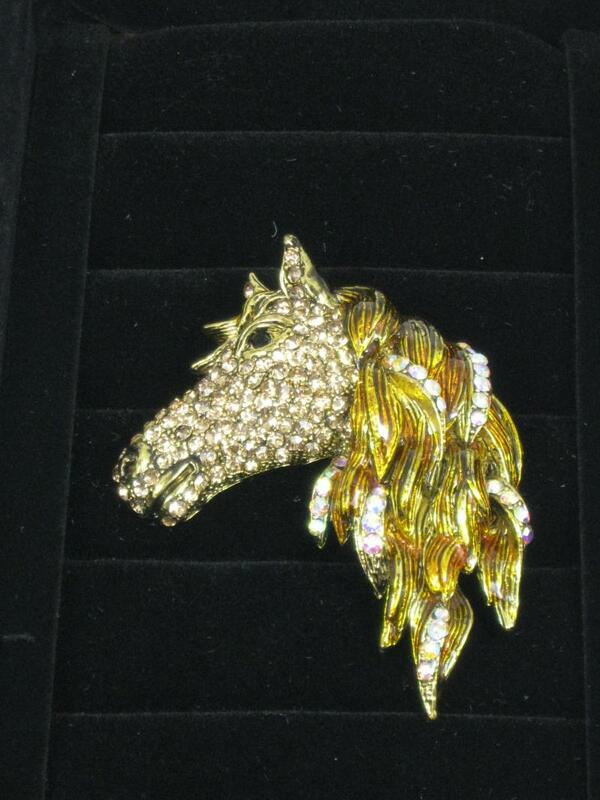 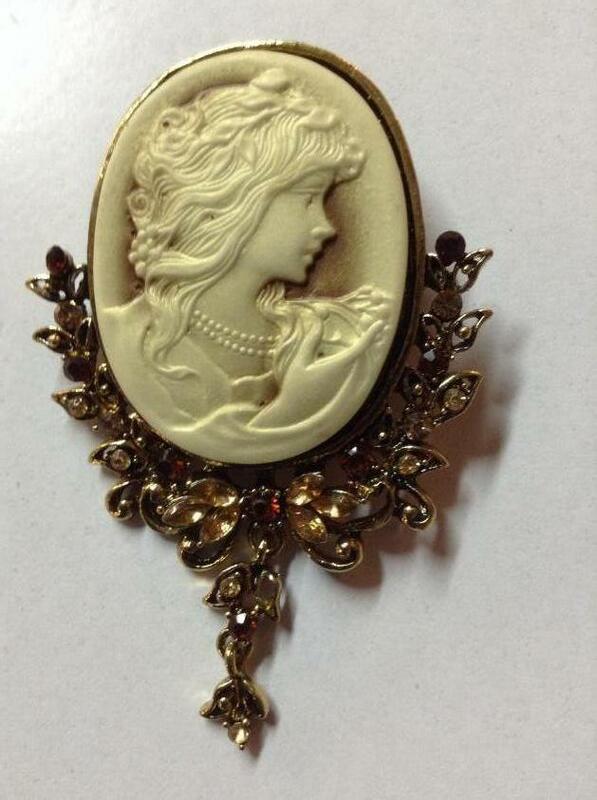 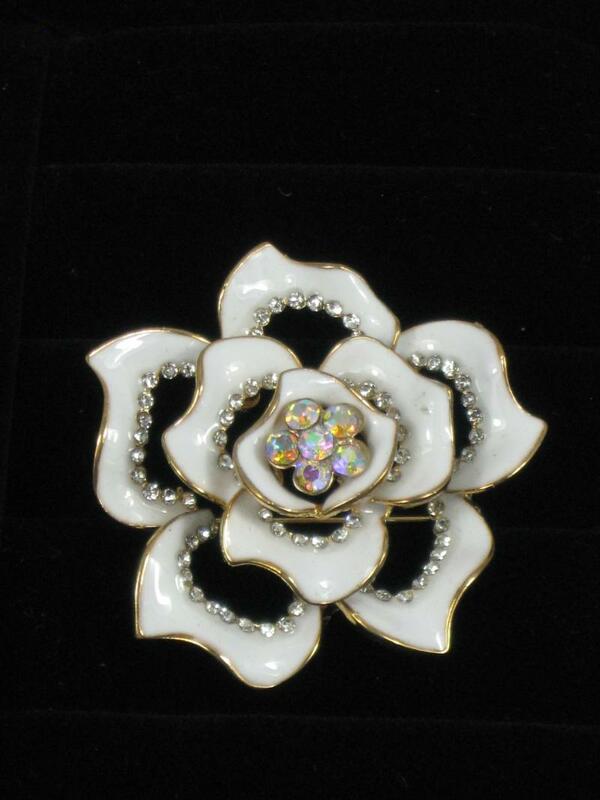 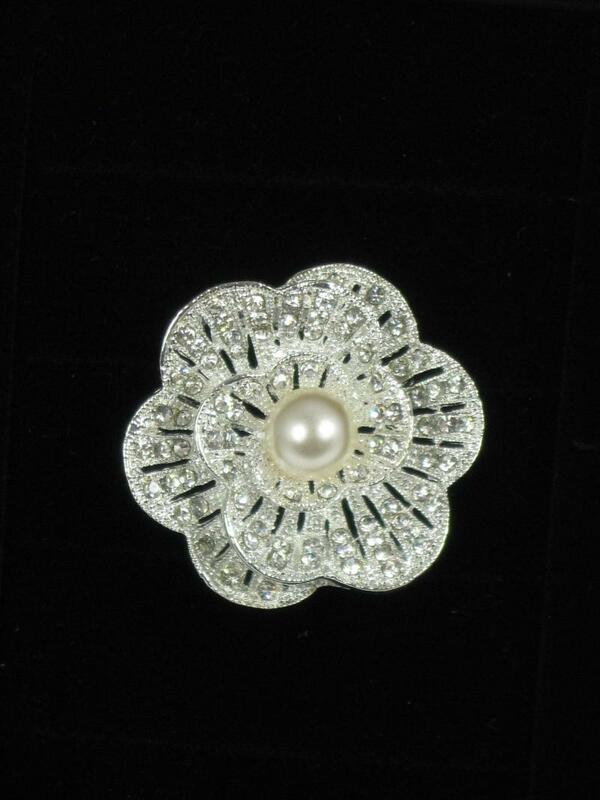 This stunning Cameo Brooch has beautiful detail and crystal stone adornment. 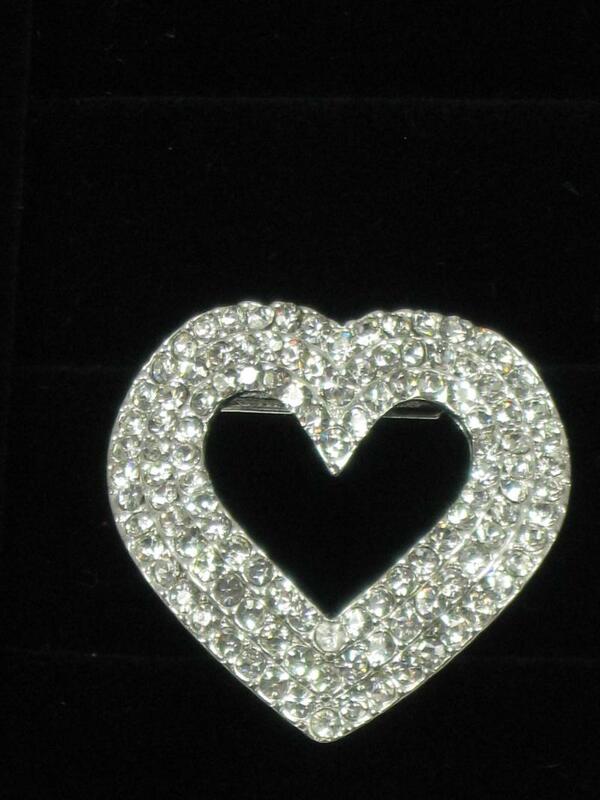 It comes in a Gift box making it a wonderful Gift. 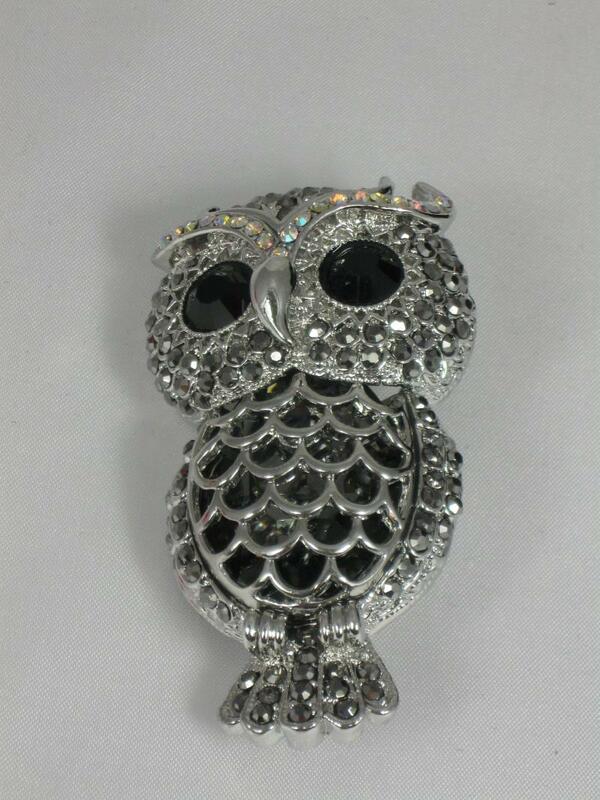 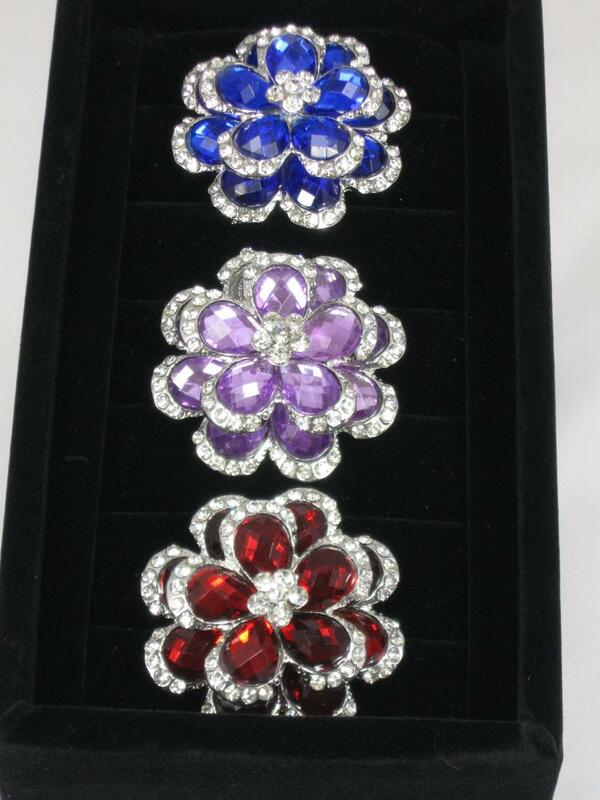 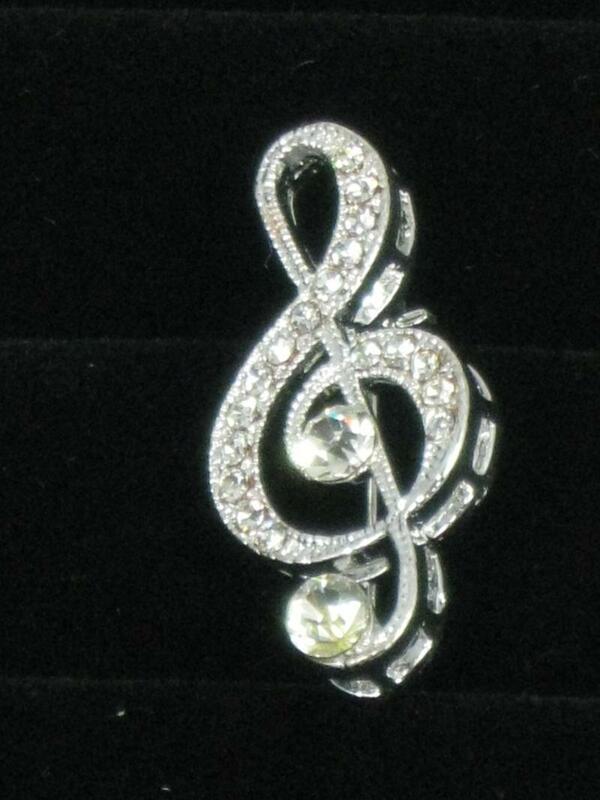 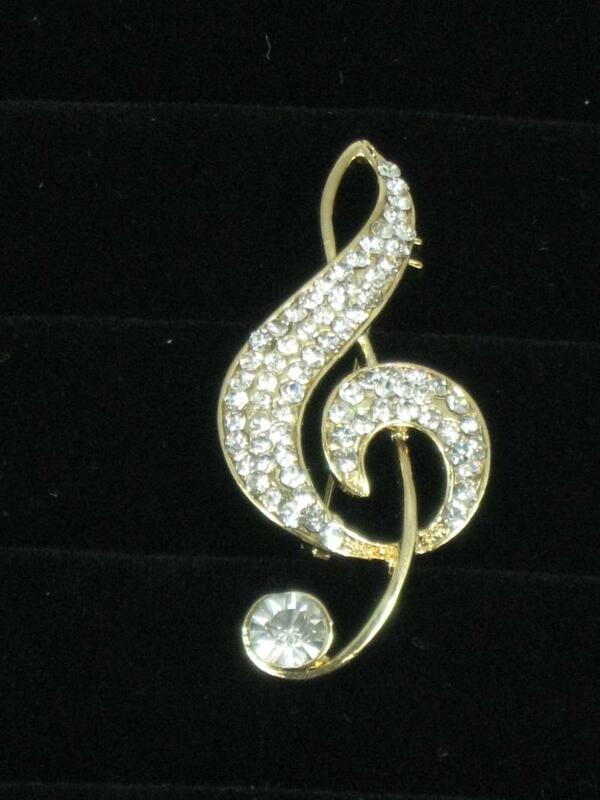 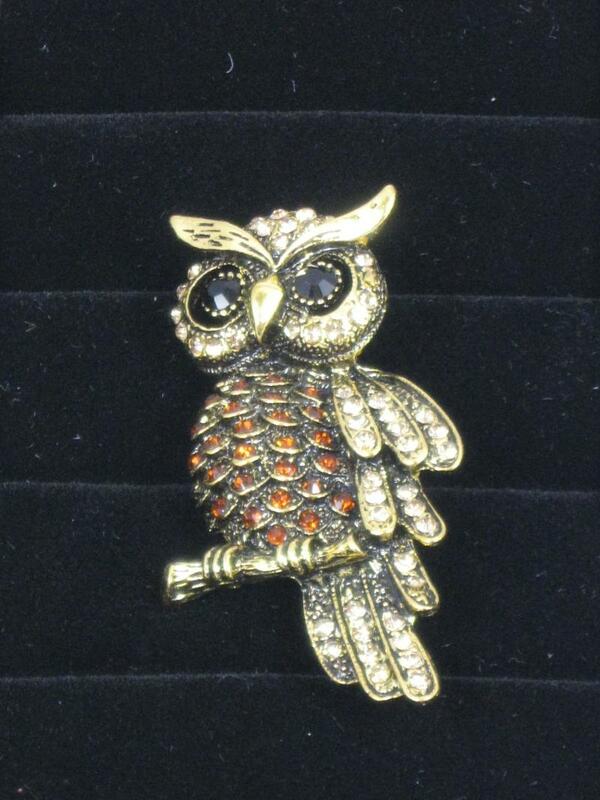 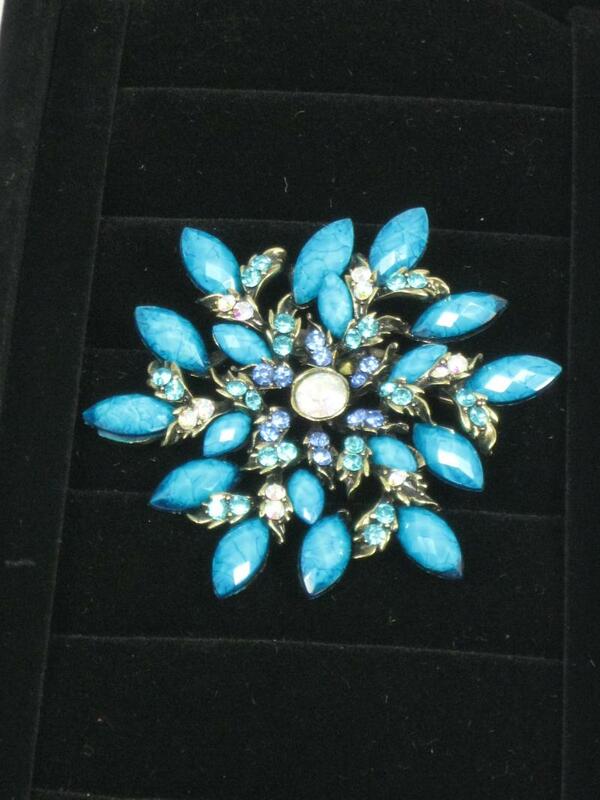 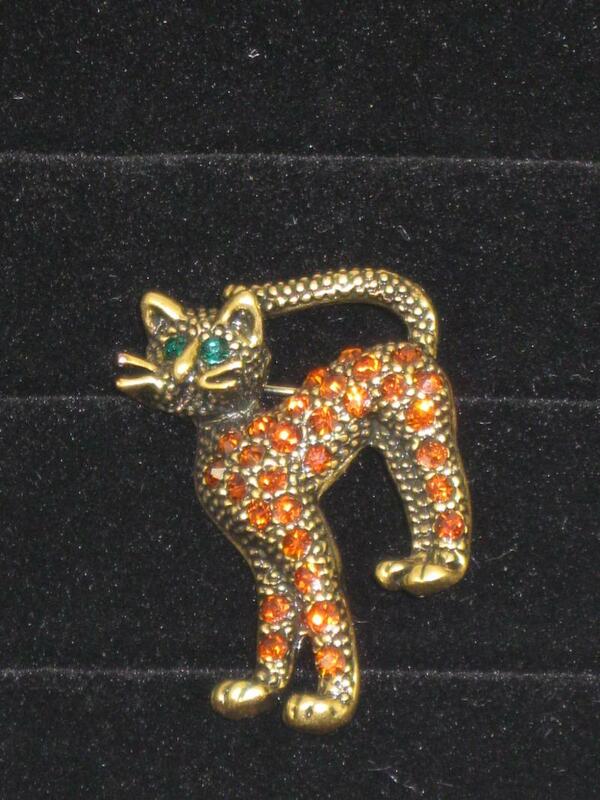 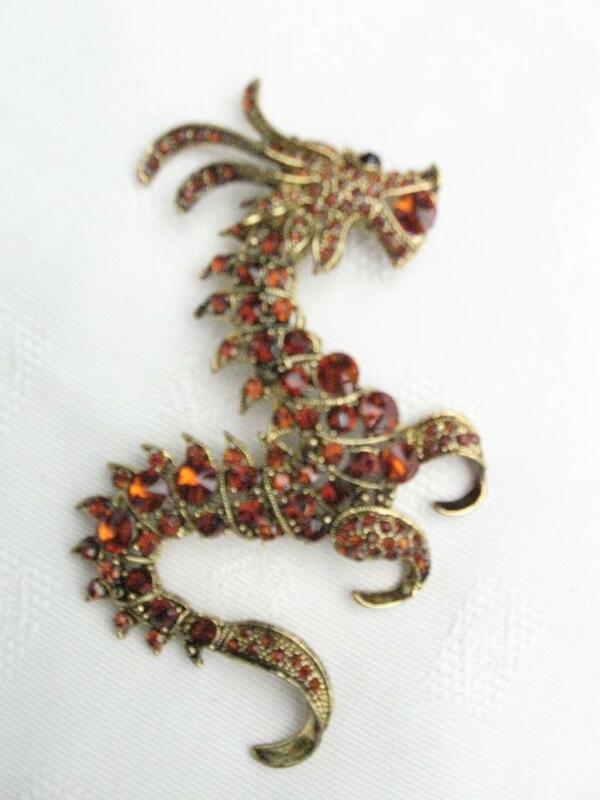 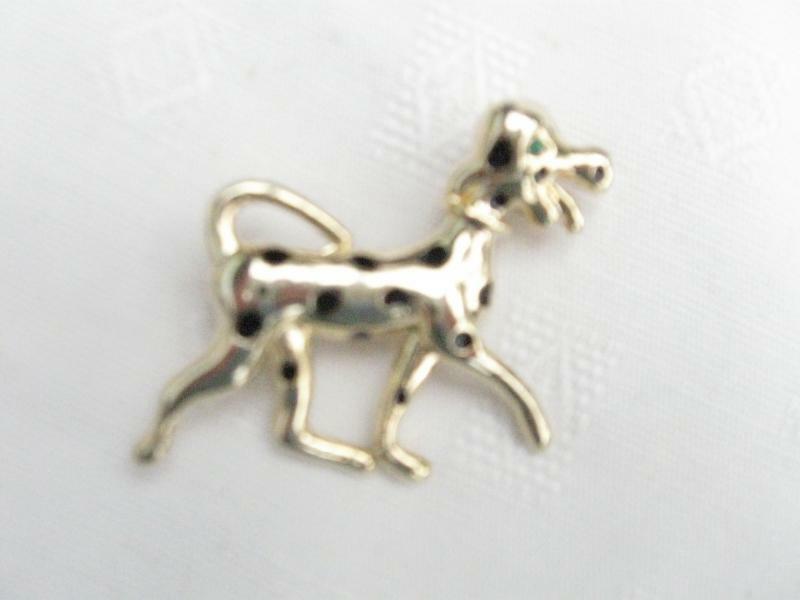 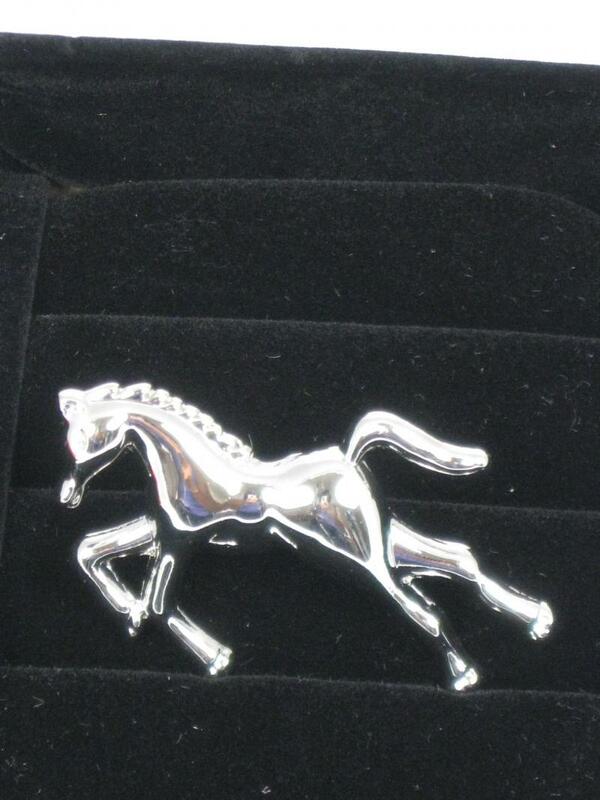 The brooch is approx 8cm in length and 5.5cms in width. 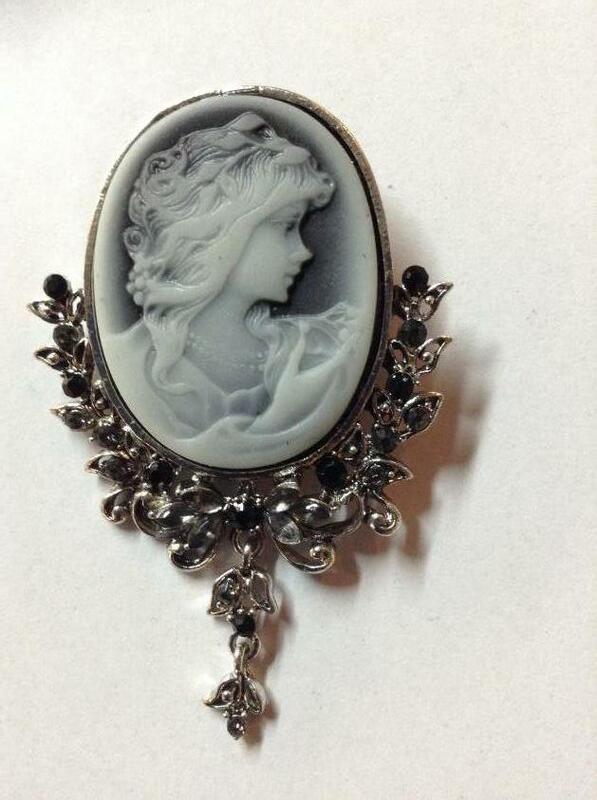 It can be worn as a brooch or as a Pendant using the Loop feature (necklace not included). 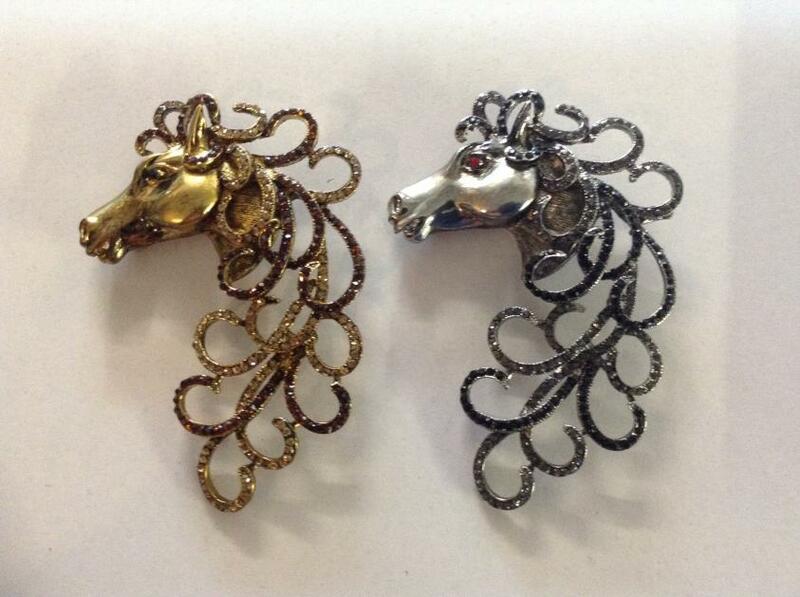 Choose from Amber crystal with Gold Tone detail or Grey crystal with Silver Tone detail.